While visiting my parents in Virginia and taking advantage of the farmer’s market in their town, we needed to do something for lunch. My parents are supportive of our eating habits, but haven’t decided it’s time for them to take on the same dietary approach. Growing up in the midwest, I can totally appreciate that after 50+ years of eating a certain way without any pressing health issues they aren’t convinced what we are doing is necessary or right for them. 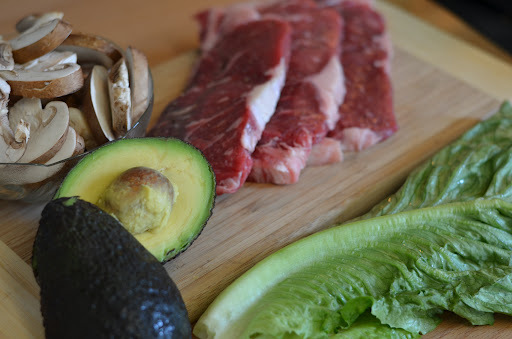 They usually will eat what we make, and like it, so that’s one fewer meal full of grain and dairy. 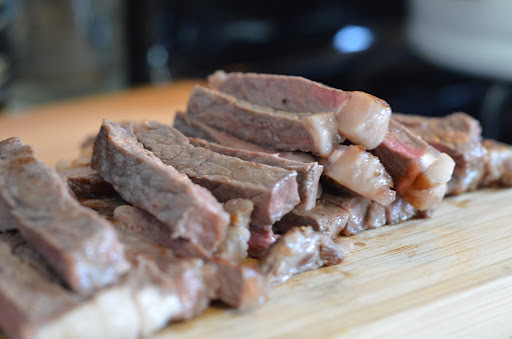 We ended up with thinly cut NY strip, even though we were looking for sandwich steaks–the strip was on sale and they didn’t have the other. 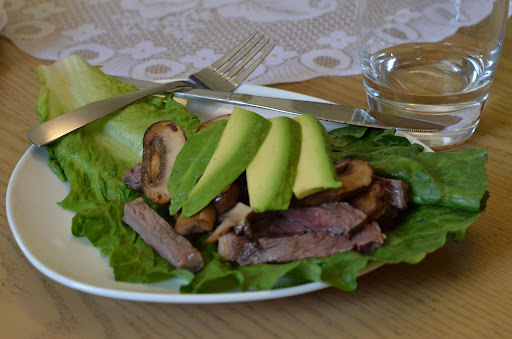 Either way, this was a great lunch that was filling and finished in under 15 minutes. 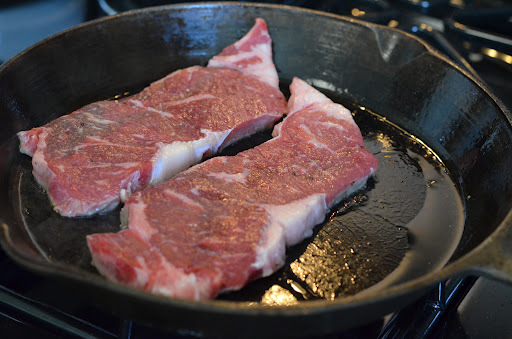 Heat olive oil in your cast iron skillet on a medium-high heat and sear steaks (seasoned with salt and pepper) for 3-4 minutes per side. 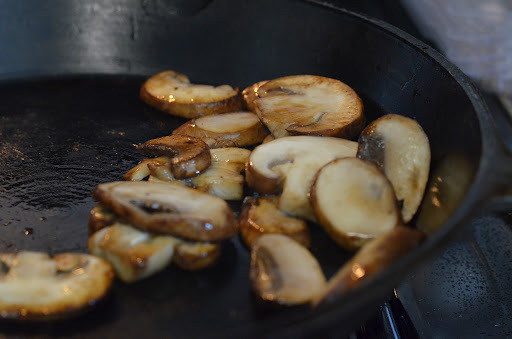 Sauté mushrooms in the skillet while steak rests, about 5 minutes, stirring regularly. 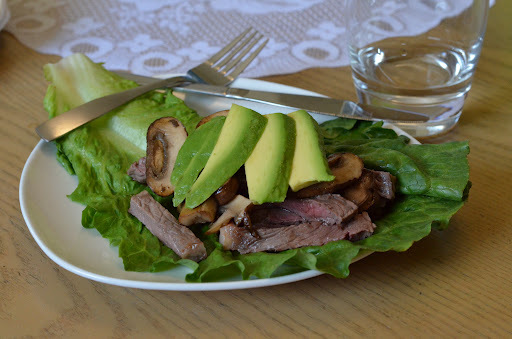 Slice steak into thin strips, and place steak and mushroom, with sliced avocado, into a romaine lettuce leaf. Enjoy!